We all want to be the life of the party, right? Well, you’ll have the chance to be the life of the “highway” if you opt for the 2018 Ford Fiesta. While the nameplate may be smaller than you were expecting from a new ride, its actually jam packed with a number of amenities that will improve any driving experience. The performance, technology, and safety capabilities are all top-notch, and you’ll appreciate the fact that you can zoom past your fellow drivers, enjoy all of your favorite technological features, and remain safe at all times. Sure, the 2018 Ford Fiesta may be a bit small (just like the best parties…word up to the introverted people reading this article). Does that mean it’s lacking on power? Absolutely not. 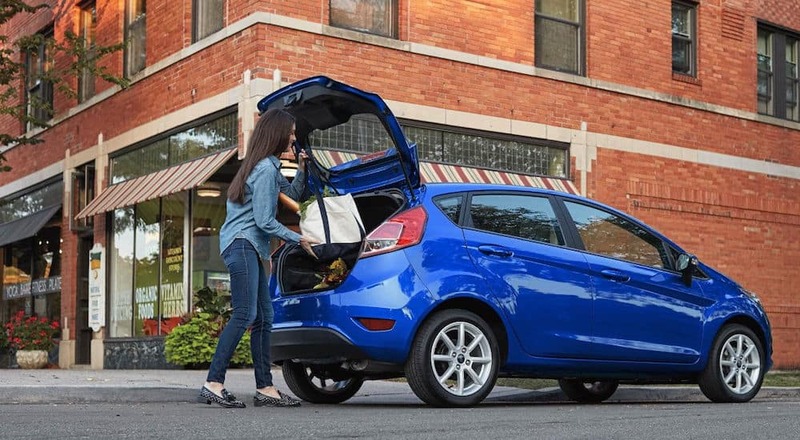 The Ford Fiesta manages to pack quite the punch, and you’ll have a whole lot of fun cruising around town in your new ride. The 1.6-liter EcoBoost engine manages to deliver specs that rival the systems included in significantly larger vehicles, as drivers can anticipate 197 horsepower and 202 pound-feet of torque. Plus, thanks to the sporty six-speed manual transmission and a “unique sport-tuned suspension,” owners might confuse their “small ride” with an actual sports car. Best of all, this system is incredibly fuel efficient, promising a 33-mile-per-gallon highway fuel efficiency and a 39-mile-per-gallon combined mpg. This engine is available on the ST variation of the nameplate. Drivers can alternatively opt for the 1.6-liter 16-valve Ti-VCT I-4 engine, which truly accentuates those efficiency numbers. Drivers will appreciate the 37-mile-per-gallon highway fuel efficiency (on the automatic-transmission-version of the S Sedan/Hatch), saving them some extra money as the gas tank. Predictably, Ford’s engineers also equipped their sedan with a number of driver-centric features that will make the vehicle incredibly easy to control. For instance, the Euro-Inspired suspension will emphasize those power specs and maximize control, while the electric power-assisted steering makes it more than easy to keep your Fiesta on its intended path. Finally, the AdvanceTrac Electronic Stability Control system assures you’re in complete control of your sedan regardless of the conditions. We’re not implying that you should be performing at parties or anything (after all, who likes the drunk, fake dude). However, you should certainly be wary of that little bundle of energy that’s eyeing you from across the room, as you may underestimate how much power they actually have. Whenever you’re attending a party, you expect to be entertained. Well, that will certainly be the case when you’re driving around in the Ford Fiesta. The brand did an admirable job of filling their vehicle with a number of notable entertainment and comfort amenities, optimizing any trip you’ll take in your new sedan. The SYNC 3 system is the star of the interior, as the technology will provide you access to all of the Fiesta’s top amenities. The voice-activated system can help guide you to any destination, and the unit will even search for nearby restaurants or notable attractions. Drivers can also opt for the incredible SiriusXM Traffic and Travel Link, which will guide the driver to any destination thanks to the 3-D mapping and Global Positioning System. Essentially, the system will serve as your own personal concierge. Occupants can also connect their smartphone to the unit thanks to the Apple CarPlay and Android Auto compatibility. Thanks to this amenity, drivers can quickly and easily access all of their smartphone’s top applications, including phone calls, messages, and more. Instead of risking you and your passengers’ well-being by glancing down at your phone, it will now be easily accessible through the touchscreen unit. Finally, if you want to jam out to your favorite tunes, you can easily do so thanks to the elaborate speaker system. The Audio System from Sony (with HD Radio Technology) will crank out more than 100 watts via the eight speakers, four woofers, and four tweeters. If you’re looking for the ideal listening experience, you can expect it from the Ford Fiesta. Generally, we’d tell you to get off your phone if you’re attending a party (which is true). However, you might not even get into that party as you’re enjoying all of the various amenities that are included in the 2018 Ford Fiesta. Hm, this one is a bit of a stretch… but yea, be safe at parties. Don’t drive drunk, don’t get in fights with random party crashers, et cetera, et cetera. Anyways, the 2018 Ford Fiesta is full of features that are intended to help you avoid accidents and fender benders. The Standard Hill Start Assist gives you an extra (figurative) boost as you’re traveling up an incline. The system will maximize the vehicle’s braking power, thus preventing the vehicle from rolling back. Meanwhile, the Standard Rear-View Camera allows you to constantly monitor everything that’s happening behind your ride, while the Cold Weather Package (which includes heated exterior mirrors) assures that you’ll never be inconvenienced by poor weather. Of course, if you do find yourself in an accident, you can count on the 2018 Ford Fiesta’s strong body to keep you safe and secure. The ride is composed of high-strength boron steel, which “strengthens critical safety zones” to assure the occupant’s safety. The driver airbags and side-curtain airbags are intended to protect vulnerable parts of your body, thus eliminating or reducing injury during a collision. So while drawing similarities between a car’s safety and a generic party might be a stretch, we’re certainly not exaggerating when we say that the 2018 Ford Fiesta is one of the safety small rides you could get. While the nameplate may not have been on your initial list of targets, it’s pretty clear that the 2018 Ford Fiesta can provide you with an optimal driving experience. If you’ve decided that this is the perfect ride for your needs, then it’s time to go out and buy! 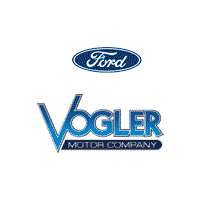 If you live in the Carbondale, Illinois area, there’s no better place to make the impending purchase than Vogler Ford. The dealership is stocked with a number of new and used cars, providing options for those on any type of budget. The helpful staff will be on hand to guide you through the entire process, assuring you’re never discouraged by the tumultuous ordeal. Plus, the dealership has a number of additional services that will prove to be helpful before and after you’ve made your purchase. The dealership’s finance department will help out those who need an extra line of cash, assuring that you can actually afford your new Fiesta. Meanwhile, the service department will help fix up any issues you might come across, and they can also order any replacement parts you might need. If you’re going to soon be hunting around for a Ford dealership in Illinois, then head on into Vogler Ford. Soon enough, you could be cruising off the lot in your brand-new 2018 Ford Fiesta.